Virginia Head Coach Brian O’Connor has been named National Coach of The Year by Collegiate Baseball newspaper. One of the most respected coaches in college baseball, O’Connor led the Cavaliers to their first national baseball championship at the recent College World Series with a 4-2 win over Vanderbilt. In the process, Virginia became the first Atlantic Coast Conference team in 50 years to win the College World Series. It simply was one of the greatest coaching jobs in the history of college baseball. Virginia lost five position player starters off the 2014 ball club and seven key pitchers as a number of new players were brought in. The Cavaliers started the season well with 10 straight wins. But then due to injuries and inexperience, Virginia lost 5 of their next 6 and 8 of 11. They went through periods where they lost 4 in a row twice and 3 in a row three times. OF Joe McCarthy underwent back surgery in January and didn’t play until mid-April. John La Prise suffered a hip injury four games into the season. C Robbie Coman injured his knee, catcher Matt Thaiss had an ankle injury. And No. 1 starter Nathan Kirby sprained a lat muscle in mid-April and wasn’t able to pitch again until the Cavaliers’ third game in Omaha – a stretch of two months. If that wasn’t enough, pitcher Derek Casey started 4-1 but suffered an elbow injury on Aril 21 and didn’t pitch since. At one point, Virginia was only 10-14 in the ACC and in serious danger of not even qualifying for the ACC tournament entering May. When they made the ACC Tournament, they suffered through a 1-3 record. Overall in ACC play, Virginia was 15-15 and had the seventh best record in the league. The coaching staff never lost faith and kept hammering home the point that a late season run was possible. The Cavaliers were a No. 3 regional seed and were shipped out to California where they won three straight against Southern California, San Diego St. and Southern California again. Then at its Super Regional, Virginia swept Maryland two straight. At the College World Series, they won their bracket and won two of three over Vanderbilt for the national title as the team went 10-2 in NCAA tournament play. The five-time ACC Coach of the Year, O’Connor continues to lead Virginia to unparalleled levels of success. Now in his 12th season as head coach of the Cavaliers, O’Connor has built his program into a college baseball powerhouse with a national championship this year and second place finish in 2014. Virginia is one of just eight programs in the nation to earn a berth in the NCAA tournament in each of the last 12 seasons. This success has led to record crowds, excitement and national exposure for Virginia baseball. O’Connor is the second fastest ACC coach to reach 500 career wins (558-201-2). His UVa teams have racked up ten 40-win seasons and played host to eight NCAA regionals and five NCAA super regionals. UVa has ranked among the top 40 in the nation in total home attendance and average home attendance in all 12 years of O’Connor’s tenure. Virginia finished a multi-million dollar stadium renovation in the spring of 2010, pushing Davenport Field among the elite in college baseball facilities. 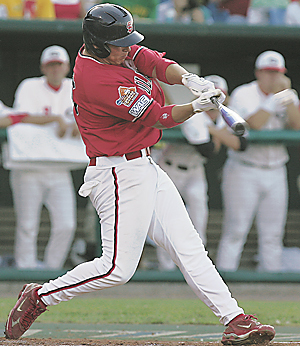 Twelve former Cavaliers have reached the major leagues after playing for O’Connor, highlighted by Washington Nationals’ all-star and Gold Glove third baseman Ryan Zimmerman. Mark Reynolds (Cleveland), Joe Koshansky (Colorado), Brandon Guyer (Tampa Bay), Michael Schwimer (Toronto), Mike Ballard (Baltimore), Sean Doolittle (Oakland), David Adams (New York Yankees), Phil Gosselin (Atlanta), Kyle Crockett (Cleveland), Chris Taylor (Seattle) and Jarrett Parker (San Francisco) also have made it to baseball’s highest level after playing under O’Connor while at UVa. During O’Connor’s tenure, Virginia players have garnered 18 All-America honors. 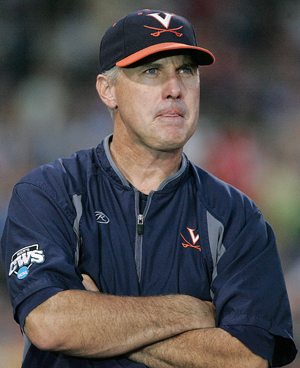 O’Connor brought a wealth of baseball experience to Charlottesville when he arrived. He came to Virginia after spending nine seasons at Notre Dame (1995-2003) under current LSU coach Paul Mainieri, for whom he served as an assistant coach from 1995-2001 before earning a promotion to associate head coach in 2001. While at Notre Dame, O’Connor worked with the Fighting Irish pitchers and served as the program’s recruiting coordinator. As Notre Dame’s recruiting coordinator, he led the effort that landed a nine-member group ranked as the No. 1 recruiting class in the country in 2001, as well as the sixth-ranked recruiting class in 2003. During O’Connor’s nine years at Notre Dame, the Irish compiled an overall record of 399-160-1 (.713), won six conference championships and made six trips to the NCAA Tournament. O’Connor, who pitched on Creighton’s 1991 College World Series team, tutored 17 eventual professional baseball pitchers, including 13 Major League Draft selections, at Notre Dame. TUCSON, Ariz. — Introducing my 26th annual All-Pavlovich Team, a remarkable collection of people who typify what the game should be all about. 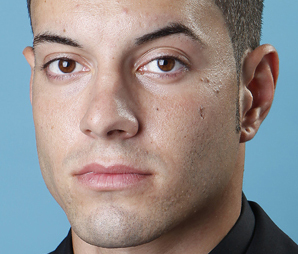 My National Player of The Year was an easy choice in Columbia University’s Joe Falcone. He had a marvelous season as the designated hitter. He hit .354 with 11 homers, 18 doubles and 51 RBI and was a unanimous first team All-Ivy League selection. What separates Falcone from others is that he witnessed more suffering and death than anybody should be allowed as a medic for the U.S. Marine Corps infantry during three tours of duty in Kuwait, Iraq and Afghanistan prior to playing at Columbia. Falcone said he embarked on a seven year odyssey in the military that took him to some of the most dangerous places in the world in Iraq and Afghanistan fighting for the United States and caring for soldiers who were shot or blown up by road side bombs as a medic. 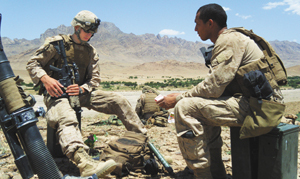 Falcone said the Third Marine Division flew to Iraq in February of 2008 and performed numerous dangerous missions in the suburbs of Fallujah. “That place was pretty nasty,” said Falcone. “We went to a forward operating base, and we were right in a middle of a third world, run down war zone slum with bullet holes in all the buildings. The place smelled like smoke, gun powder, crap and sewage. We lived in a little Iraq police station which was essentially a little hut of concrete. He was asked if he ever saw any beheadings as the Taliban retaliated against others. Falcone can play on my team any day. 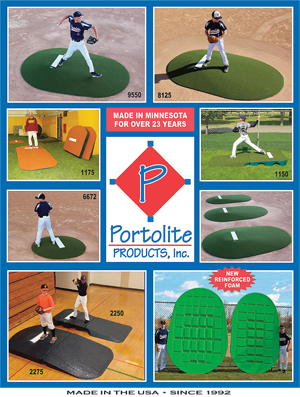 To read about other amazing people picked for the 2015 All-Pavlovich Team, purchase the June 12, 2015 edition of Collegiate Baseball by CLICKING HERE. Will There Be More Than 3 Homers At CWS? OMAHA, Neb. — It simply was the ugliest offensive streak in College World Series history. Not one home run had been hit in 115 innings and featured 923 batters, 3,436 pitches and 672 outs between homers during the last 3 1/2 games of the 2013 College World Series and nine more to start the 2014 CWS. C.J. Hinojosa of Texas snapped the streak in the seventh inning of game nine last year as the Longhorns held on to beat U.C. Irvine, 1-0. Hinojosa was probably the most unlikely person at the College World Series to hit a home run since he only had one circuit clout all season in 231 at-bats prior to that homer. The streak was the symptom of a serious underlying problem as home runs were becoming extinct at the College World Series and rare during the season. For the first time in CWS history, only 3 home runs were hit in 16 games at the 2014 event. It was the fewest amount of homers ever hit over this many games in one College World Series. For the second year in a row, only three home runs were hit. In 2013, three home runs were hit over 14 games. These were the lowest home run totals since 1966 — nearly a half century — when only 2 home runs were hit in 15 games. Home run numbers are expected to climb at the 2015 CWS since the flat seam baseball will replace the raised seam ball after the NCAA Division I Baseball Committee approved the change in November of 2013 in an attempt to generate more home runs and offense. With all NCAA Division I schools using the flat seam ball during the 2015 season, a dramatic increase in home runs has taken place. The NCAA reported that home runs are up more than 38 percent from 0.39 per game in 2014 to 0.54 per game in 2015 comparing numbers from the first week of May each year. Runs scored in a game are up from 5.12 in 2014 to 5.47 in 2015. After several months of testing at the NCAA Bat Certification lab during the summer of 2013 at Washington State University, results showed that the flat seam ball would travel further than a raised seam ball due to the “drag effect.” The greater the distance a ball travels, the greater the drag effect. The average distance the raised seam ball traveled was 367 feet while the average distance the flat seam ball went was 387 feet — 20 feet further. “We are very pleased with how the flat seam ball has performed so far this season,” said Damani Leech, NCAA Managing Director of Championships and Alliances. “I think heading into the season we were cautiously optimistic based on the lab testing we had done and some of the reports from field testing that was conducted. The uptick in home runs has been great this season. The cumulative batting average at the 2014 College World Series was only .219 which was the lowest in 42 years. In the 68-year-history of the CWS, the lowest scoring ’Series have been the last two years with an average of 6.1 runs per game in 2013 (all-time record) and 6.3 runs in 2014. 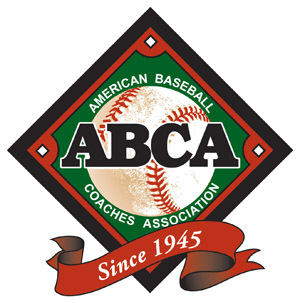 Leech, who has worked a number of years at the College World Series on behalf of the NCAA, said he was extremely concerned when the home run numbers fell to three the last two College World Series. 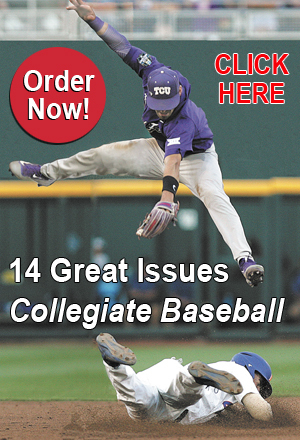 Offenses by and large at the 2014 College World Series were unwatchable. When the vast majority of runners got to first base, teams immediately attempted to sacrifice bunt them over to second. There were 37 sacrifice bunts last year in 16 games which were the most in 59 years. This doesn’t even factor in unsuccessful sacrifice bunts as batters popped pitches up that were caught or bunted too hard as lead runners were thrown out. “It was pretty painful to watch the last two College World Series with so few home runs,” said Leech. 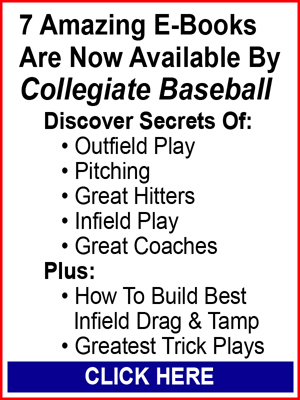 To read more of this in-depth story, purchase the June 12, 2015 edition of Collegiate Baseball by CLICKING HERE. FAYETTEVILLE, Ark. — Andrew Benintendi became the first University of Arkansas baseball player in history to be named National Player of The Year by Collegiate Baseball after piling up staggering numbers in 2015. The sophomore centerfielder was hitting .391 with 12 doubles, 18 homers, 52 RBI and 22/26 stolen bases up to the NCAA Regional playoffs. What makes those numbers even more impressive is that one year earlier as a freshman at Arkansas, he only hit 1 home run in 61 games and produced 27 RBI while hitting .276. This season, the lefthanded hitter has belted 17 more homers than the year prior, nearly doubled his RBI production with 25 more and hit 115 points higher. He also has incredible speed and could have easily stolen 35-40 bases if he were cut loose on the base paths. Benintendi is also an exceptional centerfielder and tracks down numerous balls that would be uncatchable for normal outfielders. Plus, he has a left arm that can fire balls into the infield at 90 mph. In other words, Benintendi is the consummate 5-tool player scouts drool over. This is why he was chosen in the first round of the MLB draft recently as the seventh overall pick by Boston as a draft eligible sophomore. The Cincinnati native is on the brink of becoming the third player in SEC history to lead the league in home runs and batting average, currently holding a two-homer lead and 16-point edge in batting average. Benintendi would join Rafael Palmeiro (Mississippi St. in 1984) and Jeff Abbott (Kentucky in 1994) as the only players in conference history to accomplish the feat. He is one of two players in the country to rank in the top 15 in home runs and batting average and one of two individuals in the nation with 15-plus home runs and 20-plus stolen bases. Benintendi leads the SEC in batting average, home runs, slugging percentage, on-base percentage and walks, and is the only player in the nation to rank in the top 25 nationally in every category. The talented Arkansas center-fielder said that the transformation from an average freshman ball player into National Player of The Year began after he finished his season a year ago. “I had a nagging quad strain last season that lingered for a month and a half,” said Benintendi. “In talking to my trainer and coaches, everyone felt it would be best to let it totally heal during the summer and not play. So I did that and decided to really focus on getting bigger and stronger. “I am 5-foot-10 and weighed 165 pounds at the end of my freshman season at Arkansas. Since I wasn’t playing last summer, I approached weight training as a job with my upper body. In addition, I changed my diet which helped me gain weight. “By the end of the summer, my back, chest and arms got noticeably bigger. When I got back to Arkansas, I worked with our strength coach who does a superb job. In all, I put on 15 pounds of muscle during this time and felt a lot stronger going into the 2015 season at 180 pounds. “There is no question this added strength has allowed me to drive the ball harder and further this season. 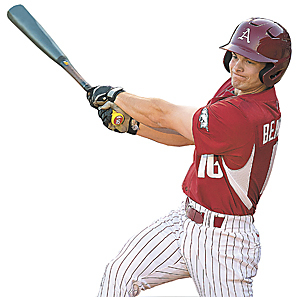 To read more of the in-depth story about Andrew Benintendi’s ascent to Collegiate Baseball’s National Player of The Year, including comments from Arkansas Head Coach Dave Van Horn, purchase the June 12, 2015 edition of Collegiate Baseball by CLICKING HERE.